Who is anxiously waiting on spring to arrive? We've had it pretty easy so far this year in Texas, but it is still dreary! I need some sunshine and I need it quick! 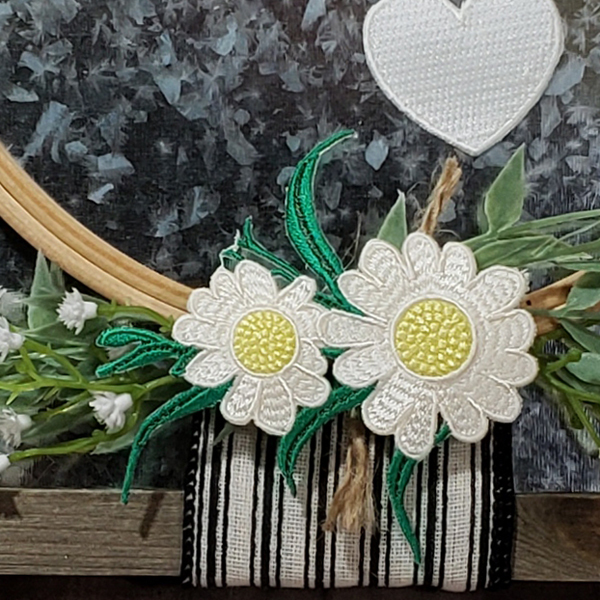 Since I am not putting much faith in Mother Nature to help me out, I decided to make a little sunshine of my own with sweet wall hanging. 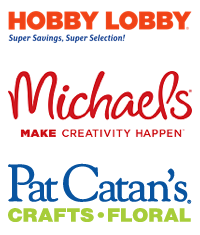 Embroidered flowers are the perfect addition to your projects. You can literally put them on everything! 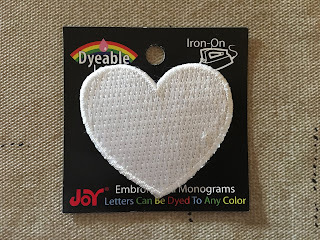 They are iron-on for all your fabric crafts or use adhesive for other projects. 1. 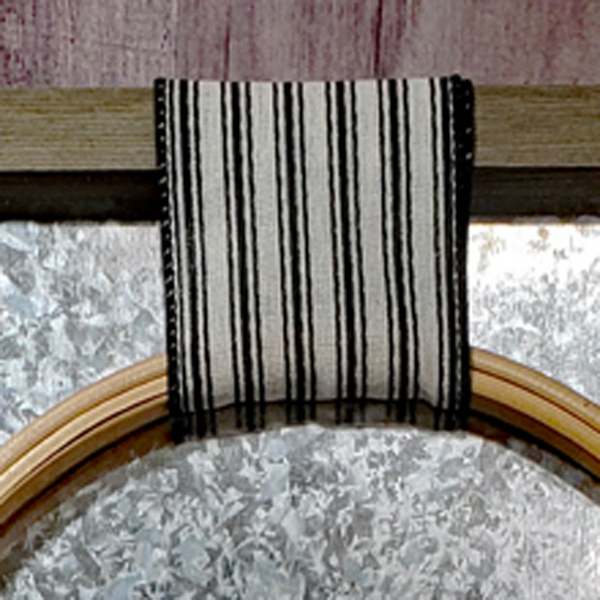 Attach your hoop to the center of the frame with two pieces of ribbon. Wrap one piece around the top of the hoop and the other around the bottom of the hoop. Bring both ends of the ribbon to the back of the frame and secure with a staple gun. 2. Glue your choice of letters to the center of the frame. 3. 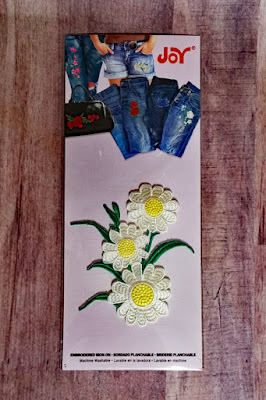 Accent the ribbon at the bottom with jute and/or small flowers then glue the embroidered daisies on top. Hang and enjoy! 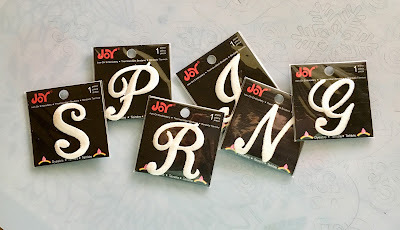 You can find Joy® iron-on embroidered letters and floral appliqués at your local craft store.